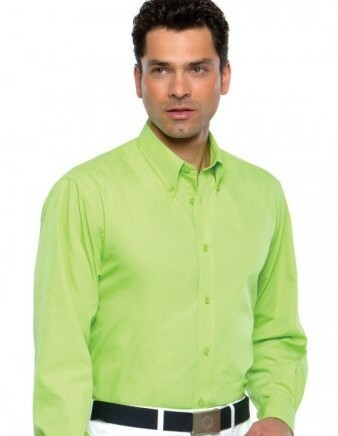 High quality embroidered shirts at affordable prices. Embroidered shirts completed with your company logo will present you and your staff in a smart and professional way, all day, every day. First impressions are vital when engaging with your customers and presentation plays a significant role in promoting your company or club. 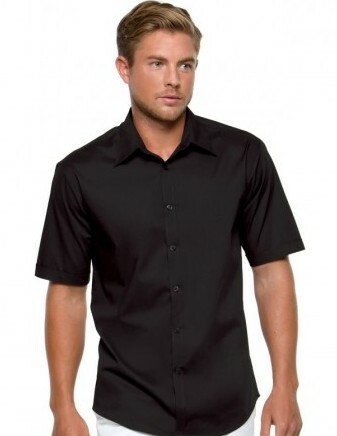 Our range of embroidered shirts are very popular for front of house staff and customer facing sales staff. Especially when complimented with an embroidered tie, embroidered scarf or embroidered apron, shirts and blouses are the perfect way to increase your brand identity. Embroidered knitted pullovers, tops and cardigans are also available to complete your corporate or hospitality workplace uniform. Royale Leisurewear’s extensive choice of embroidered classic shirts, embroidered fitted shirts, embroidered oxford shirts and many more provide you with the perfect choice for the boardroom, office, meeting place, restaurant or bar. Children’s shirts are also available. Please call us if you wish to discuss requirements for your embroidered shirts, Dorothy or Kevin at Royale Leisurewear will be happy to help on 01773-550614. Or email us on dorothy@royaleleisurewear.co.uk, we will get back to you as soon as possible. Sizes for Royale Leisurewear’s high quality but affordable embroidered shirts. Children’s shirts – Sizes available: age 3-4 years, 5-6 years, 7-8 years, 9-10 years, 11-12 years. Adults shirts – Sizes available: XS, S, M, L, XL, 2XL, 3XL, 4XL, 5XL, 6XL. Ladies shirts – sizes available: Dress size 8, 10, 12, 14, 16, 18, 20, 22, 24 and 26. Choice of styles may be limited for larger sizes, please ask our experienced staff and they will be happy to help.